Police are appealing for information after a boat was burgled and then found on fire in Warwick. Between 3pm and 7.30pm on Sunday (June 11) a boat that was moored at Lock 27, on the Grand Union Canal, Budbrooke Road was broken into. The thieves forced open the stern door and entered the boat to steal a 3.5K Honda generator from inside. When the boat owner returned shortly afterwards they discovered a fire in a bedroom at the bow of the vessel. At around 9pm Fire Control received a call reporting the fire. Two fire crews from Leamington were sent to the scene, when they arrived they requested a further crew. One crew from Kenilworth was then sent to the scene. The boat was about sixty feet long, and firefighters found it was completely smoke logged and around 25 per cent of the boat was involved in the fire. The fire crews used breathing apparatus, light portable pump and jets to deal with the fire. A spokesperson from Warwickshire Fire and Rescue said: “Police were notified by Warwickshire Fire and Rescue Service of a fire on a boat moored on the Grand Union Canal at Budbrooke Road on Sunday (11 June). 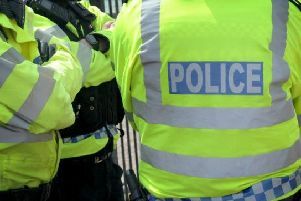 “Officers initially attended to manage traffic while fire fighters tackled the blaze, but also spoke to a group of youths in the area after receiving reports of stones being thrown from across the canal at fire crews and appliances. “It is believed the boat was broken into and a generator was stolen from inside sometime between 3pm and 7.30pm, shortly before the fire was reported. Police are appealing for anyone that might have witnessed the incident, any suspicious behaviour around the time, or anyone with information to get in touch. Warwickshire Police can be contacted by calling 101 and quoting incident number 448 of June 11.